Matt Suiche (@msuiche) edited this page. Where: 1776 Space, Emirates Towers, Dubai, United Arab Emirates. Over $7,000 USD in Prizes! $5,000 USD cash prize for the Winning Team sponsored by Dell SecureWorks. $2,000 USD cash prize for the team selected as Rising UAE Star by Noon. All winning teams will receive medals. All teams will receive t-shirts. 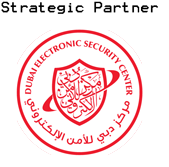 UAE National Cyber Security CTF is a cyber security competition where participants demonstrate their technical ability. It is supported by the government and provides the highest cash prizes for the winning teams. 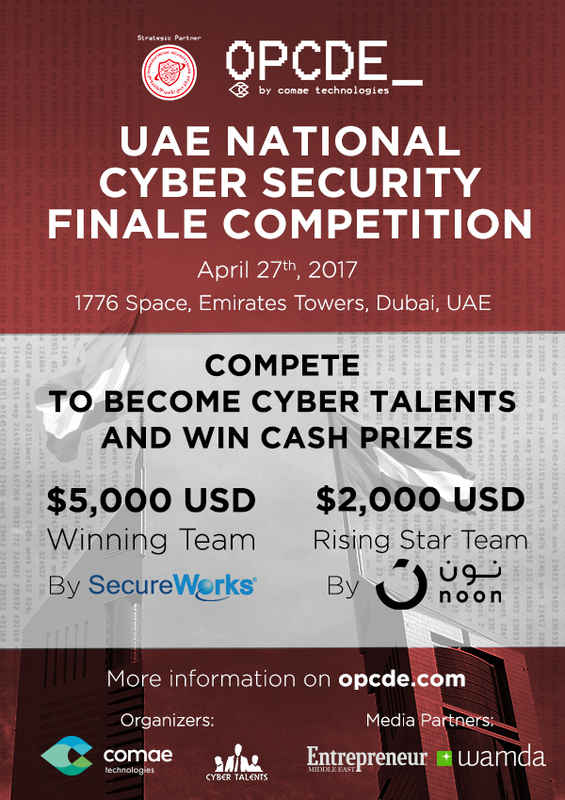 UAE National Cyber Security CTF winners are eligible to compete in regional and international CTFs representing UAE. The CTF will be a Jeopardy Style CTF where every team will have a list of challenges in different categories like Reverse Engineering, Web Security, Digital Forensics, Network Security and others. For every challenge solved, the team will get a certain amount of points depending on the difficulty of the challenge. The team who will get the highest score at the end of the day will be the winning team. Registration is available on www.cybertalents.com to practice on existing challenges. New challenges will be added every week on the portal to practice. Qualification Round is per individual not per team. Teams Formation will open after the qualification round from 10th April until 21st April. At least two members of the team must be undergraduates in any UAE university or school. One Mentor is allowed to join the team, the mentor is a professional working in cyber security field that can provides technical mentorship to his/her team before and during the CTF. (Mentors are allowed to be one of the team during the competition). Every Team should have a team leader, that is responsible to build the team and he will be the main contact to the organizers. Moving members between teams is allowed two days before the competition. Mentors or undergraduates team players can not be a member of multiple teams. Although we prefer that undergraduates represent their universities but there is no restrictions on having members from different universities at the same team. Any attack against the site or the hosted servers will be observed and teams might be banned from participating in the CTF. Running Automation tools are not allowed and won't help you complete the challenge. Sharing flags between different teams is prohibited. Brute Force attacks on the challenges submission portal or challenges links are not allowed. Any trials for interrupting the CTF, or any unethical behaviour, Organizers has the permission to disqualify teams. CyberTalents is a platform that ranks cyber security talents according to their real hands on skills in different cyber security categories by running CTFS Competitions in order to get hired by recruiters. Cyber Talents provides recruitment & personnel assessment to its customers in a SAAS model. About OPCDE, OPCDE_ is the leading technical cyber-security conference of the Middle-East organized by Comae Technologies, a cyber-security start-up based in UAE. Rules are simple. If you're a student and would like to win one of 10 free tickets available to go to OPCDE_, then resolve the following crackme and submit your drafted solution. The goal is to figure out the algorithm, in order to retrieve the magic code. A maximum of up to two tickets granted to students per school/university. Deadline: 10th April - Official solution will be published on 11st including all the different ways to solve the problem ! OFFICIAL SOLUTION BY MOHAMED SAHER (NSS LABS): DOWNLOAD HERE - Thanks to Mohamed who spent several days writing this very complete solution, this is a great opportunity for any student to learn more about reverse engineering. The required drafted solution to be sent to matt@opcde.com with the correct code. Elegance of solution/write-up will be taken into consideration.